Lemax Christmas Celebration Table Accent depicts a wonderful miniature scene of Santa Claus and Mrs Claus in the North Pole celebrating Christmas by toasting marshmallows over the fire with the elves. 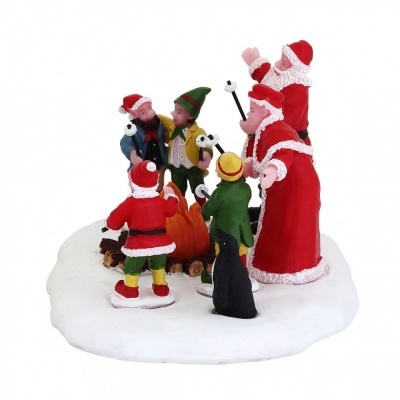 A delightful Lemax table piece suited for placement in a Lemax seasonal Christmas miniatures display. 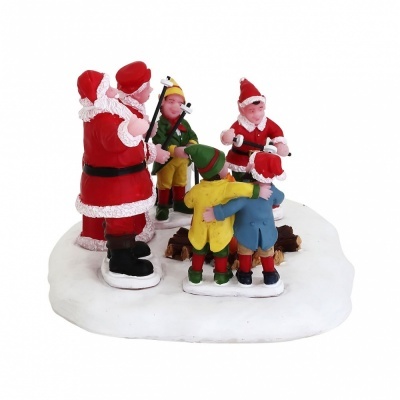 Another popular addition to the Lemax Santas Wonderland miniatures catalogue, joining the collection in 2018. 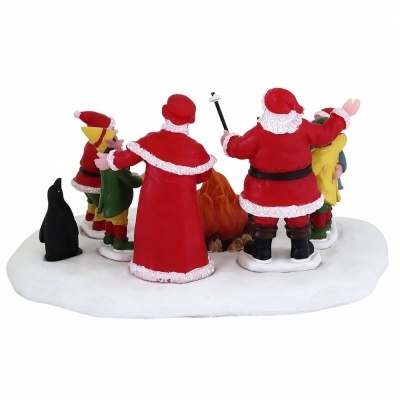 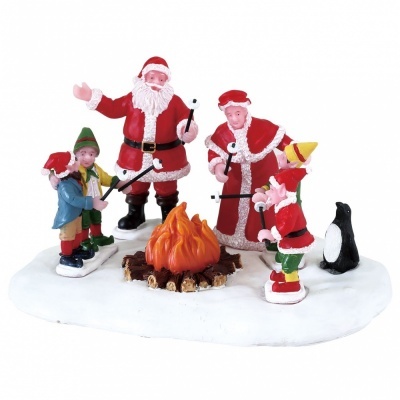 Christmas Celebration comprises multiple figurines and fire setting mounted on a single snowed base to compliment your seasonal Lemax Village display.